Your Lady Lobos are starting to hoop!! We’re already preparing for the 2018-2019 season! This year, we’re launching the “Cherry Thrill Pledge” campaign, a new way to support our program and keep you informed of the good that our student-athletes do every day! By participating in our Cherry Thrill Pledge, you can pledge a small amount of your choosing (like a dime!) for each milestone or accomplishment we achieve during the month. You can select the measure(s) of our impact that is most important to you on the form below. At the end of each month, you’ll receive a “Cherry Thrill” report that highlights the success our student-athletes have accomplished on the court and in the community! 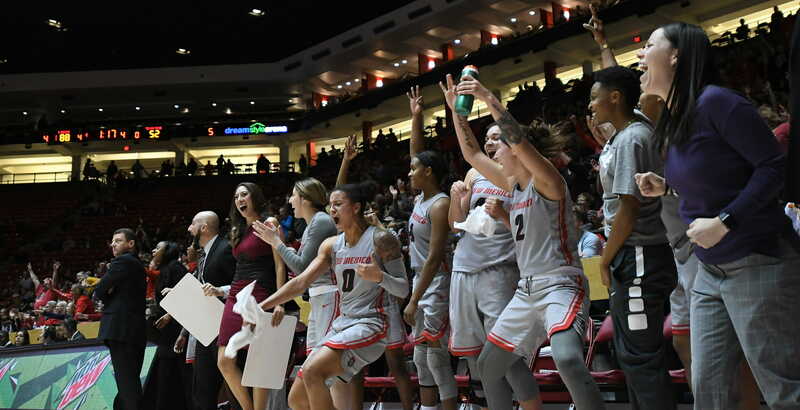 AND, wait for it….Outback Steakhouse on Jefferson will reward the first 20 new Cherry Thrill Pledge Members with a $20.00 gift card for supporting UNM Women’s Basketball! When you visit Outback, make sure to let the team know you’re a women’s basketball fan! When you join the Cherry Thrill pledge program, you can pledge a small amount (we're talking a dime) for a stat that is meaningful to you and the program. At the end of each month, we'll share an impact note with you and fund your donation! Assist - we're gonna share the ball! Rebound - when we control the boards…we will control the game! You can pledge to donate each time we do good on the court. As a fan, you're probably not surprised by stats we've chosen! Select the amount that you'd like to pledge per hoops metric! You can always cap your monthly contribution level. You can choose multiple accomplishments. For example, if we score 30 assists in one month and you select a $0.50 pledge amount, your total donation will be 30 x $0.50 = $15.00. You'll receive an impact report at the end of each month that highlights our performance. With your first impact report, you'll also receive your Sadie's coupon! You can pledge to support our student-athletes crushing the classroom! Make a bonus pledge for each time the Lobos score 80 points or more! You can make a one-time donation right now!